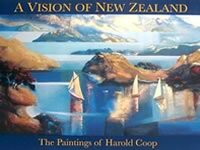 Welcome to the art of New Zealand artist Harold Coop - colourful, contemporary landscapes. 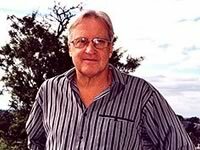 His work explores the area between impressionist or expressionist landscape and pure abstract art and show his continual delight in painting, and in the visual world. 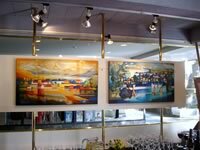 He draws on contemporary art movements, but also incorporates the colour of gold as did mediaeval artists to denote something precious - in this case, our land, sea and sky. Harold Coop is a New Zealand artist, working in the field of contemporary landscape combined with abstraction. He has had numerous one-man exhibitions throughout New Zealand, and has also exhibited in France, England, and Australia.